One of the key reasons why the gambling industry is opposed by different groups across the world is because they believe that gambling is harmful and could be very destructive for the gambler, his family and society in general. These groups believe that casinos often encourage patrons who have gambling addiction issues and pulls them into a vortex that makes it difficult for them to overcome their addiction. 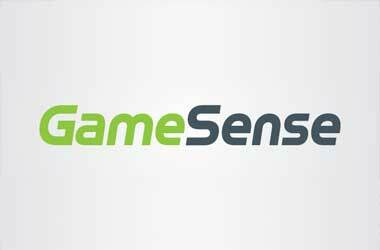 Casinos in Alberta, Canada are looking to address this precise issue and have decided to use a new software called GameSense to help customers gamble responsibly. The new software was developed in British Columbia and has been successfully rolled out in Saskatchewan and Manitoba. The software focuses on helping gamblers distinguish between games of skills and games of chance, helping them to calculate the odds of winning and losing. The software will also provide them with information that they can use to decide on whether they play for money or just for fun. Gamblers who are senior in years often prone to develop gambling addictions as they are at an age where a lot of change is happening and often leave them vulnerable based on research conducted by the Canadian Mental Health Association. These senior gamblers can sometimes tend to use gambling as a way to escape their present condition. The Alberta Gaming and Liquor Commission will initially roll out GameSense in 3 horse racketracks where gambling machines are permitted and in 24 casinos in Alberta. GameSense was first introduced by the British Columbia Lottery Corp. (BCLC) back in 2009 and proved to be extremely successful after which it was then made to include other forms of gambling, including online gaming. It has been enormously successful. In the most recent problem gambling study carried out in 2014, the number of problem gamblers in the province actually shrank. The GameSense approach is a more amenable approach than has been used in the past. We wanted to alleviate any stigma that might be around getting information that can help. The gambling industry has been doing well in Alberta and the government is expected to bring in over $1.9 billion from electronic bingo machines, VLTs and casino gaming terminals. The government wants to take measures to ensure that while the gambling industry continues to grown in Alberta, its citizens are protected and their well-being is given utmost priority.